The Music Store 12 Dowel Hot Rods are a high quality pair of Maple hot rods with 12 bars for a looser sound. Hot Rods are used in the same style as drumsticks, but give a much softer sound. 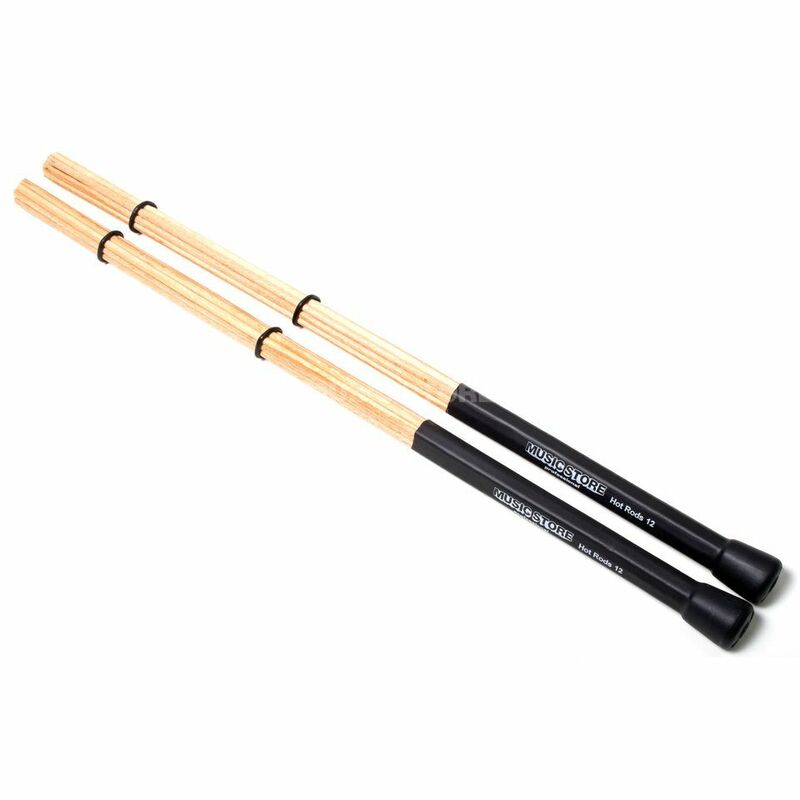 The Music Store 12 Dowel Hot Rods feature a rugged plastic handle with two rubber binding hoops that can be adjusted to alter the impact of the stick to make it harder or softer as required.